Thanks for Another Amazing Pelham Summerfest! On behalf of Council, thank you to the 2017 Summerfest Committee, Town Staff, service club and other volunteers for your hard-work and dedication and to the many generous sponsors who made this year’s four-day Summerfest an amazing success – with the highest attendance yet! First, I greatly appreciate the work of the Summerfest Committee, including John Wink, Chair; Councillor Gary Accursi; Bill Gibson, Active Transportation Committee rep; Candy Ashby, Pelham Business Association rep; Matthew Leask and Michelle Stewart, Pelham residents; and Sofia Labricciosa and Mackenna Belding, Mayor’s Youth Advisory Council reps! The committee met for since last Fall to plan and finalize every detail and they worked very, very hard all weekend long to ensure a successful festival. Thank you very much! Second, thanks so much to Town Staff! Thanks to Vickie van Ravenswaay, Sally Jaeger, Jodi Hendriks and other staff who helped organize the overall event and worked with the Committee to ensure success. I also appreciate the many Town staff who volunteered in one capacity or another – from setting up, to serving beverages, to cleaning up – throughout the four days; thanks for giving your time to our community. And, thanks to the (mainly) Public Works staff who worked during the Festival on logistics, garbage and recycling duty, and ensured the safety of participants and all the major clean-up! Third, thanks to the very many members of the Town’s service clubs – including the Fonthill & District Kinsmen and Kinettes Clubs, the Fonthill Lions and Lioness Clubs, and the Fonthill Rotary Club – for helping serve beverages and greeting patrons. We couldn’t have done it without you! Fourth, thanks to the other members of the community who also volunteered! Thanks to members of the Pelham Fire Service, the Pelham Active Transportation Committee, St. John’s Ambulance, members of Town Council, and the many, many other community volunteers. Fifth, thank you to the many Sponsors and Friends of Pelham Summerfest including our Gold Sponsors: Ball Construction, Brock University, Fonthill Bandshell, Fonthill Dental, Halco Mobile, Lafarge Canada, McAvoy Belan & Campbell, Meridian Credit Union, Niagara Peninsula Energy, and RBC Royal Bank. And, thanks to our amazing Media Partners including: Country 89; Giant FM; MyPelham.com; Niagara This Week; Pelham News; the Standard; and the Tribune. 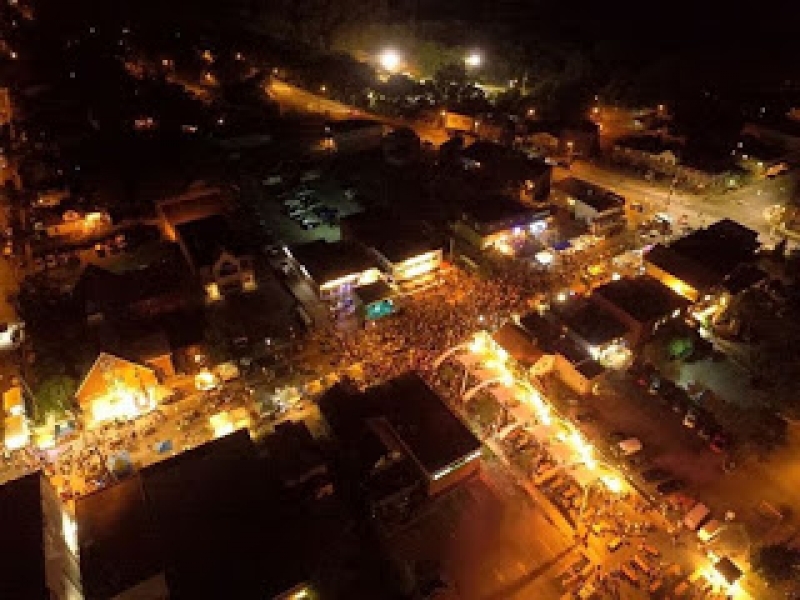 Finally, thanks to the more than 40,000 people – the largest number ever – who enjoyed the Seventh Annual Pelham Summerfest over the festival’s four days. Your attendance and community spirit made it a huge success and shows why it’s one of Festival Events Ontario’s Top 100 Events. On behalf of Council, I appreciate the vision, dedication, and tremendous work by so many volunteers and staff to celebrate our vibrant, creative, and caring community. Thank you and congratulations on a resounding and overwhelming success!